Orange County’s most iconic cultural landmark, The Laguna Beach Festival of Arts, will continue to ‘heat up’ the beach side community with family fun activities, live entertainment, special events, and immersive art experiences through September 1, 2018. Celebrating its 85th anniversary, Pageant of the Masters is enchanting audiences nightly with 90-minutes of tableaux vivants, where real people pose to look exactly like their counterparts in the original art pieces. 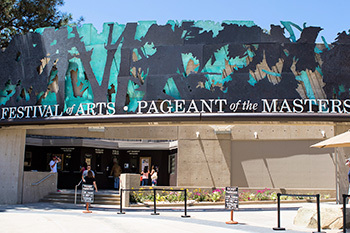 Tickets to the Pageant of the Masters are available now. Since opening on July 7, 2018, the Pageant of the Masters has welcomed excited crowds nightly, including some of Hollywood’s hottest celebrities like actress Christy Carlson Romano who indulged in the ‘living arts’ with her husband and his family. 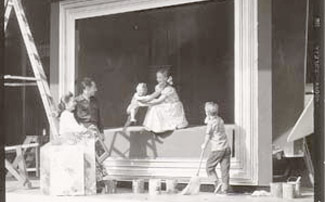 The Pageant of the Masters is arguably one of the most unique productions in the world. The creative, one-of-a-kind show themed “Under the Sun” for 2018 combines theater, performance art, and art history to amaze and awe audiences of all ages. 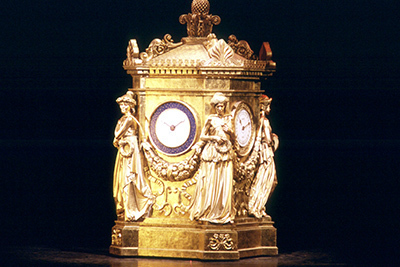 Tickets to nightly performances are still available online, by phone and in-person at the Pageant’s box office. 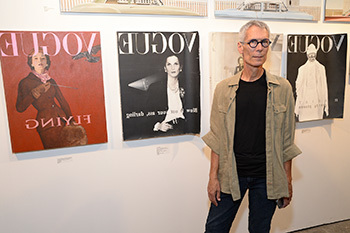 As one of the nation’s oldest and most highly acclaimed juried fine art shows, the Laguna Beach Festival of Arts Fine Arts Show has offered a breathtaking showcase for artists and art lovers for 86 years. 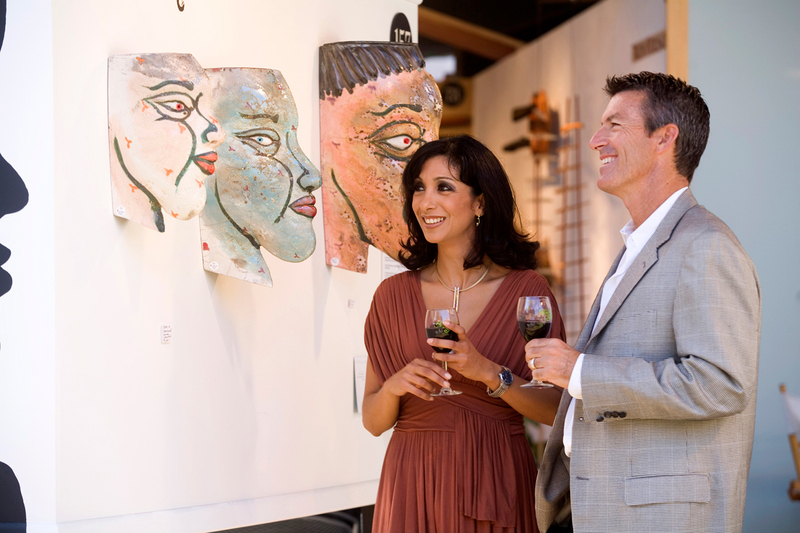 The Festival’s prestigious juried art show includes a wide variety of media including paintings, photography, printmaking, sculpture, jewelry, handcrafted wood and furniture, ceramics, glass and more, all by 140 of Orange County’s finest artists. Attendees can continue to enjoy the summer art fun with the juried art shows, as well as, a variety of exciting activities and events including youth, teen and adult art class, interactive art demonstrations, and nightly special events. Groove to the sounds of Southern California’s most well-known tribute bands as Festival of Arts’ brings to the concert stage Tribute Tuesdays. 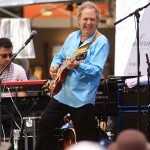 In addition to Tuesday nights, nightly music performances will continue all summer long with Step into the Spotlight Music Series on Fridays, and Concerts on the Green, sponsored by Cambria Estate Vineyard and Winery, on select Saturday afternoons. 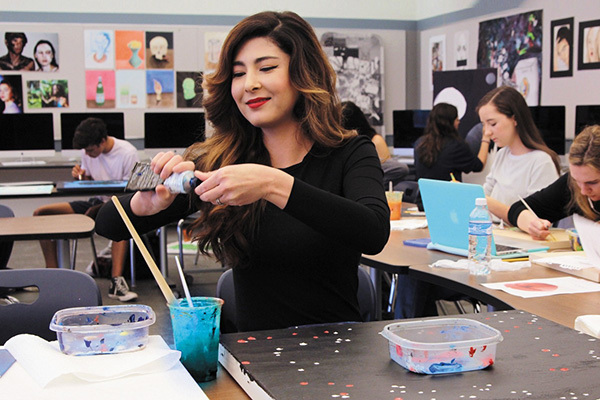 Whether you’re an informed connoisseur, an amateur collector, or an art lover, you’re sure to enjoy the fascinating and informative discussions with the Festival of Arts artists at Art Talks and Tea sponsored by PBS SoCal, each Wednesday at 1pm. Then, just like TV’s Project Runway, see who’s IN and who’s OUT this year, as the Festival of Arts welcomes the return of the Festival Runway Fashion Show on Sunday, August 19 at noon. The Runway Fashion Show welcomes a celebrity host and features Festival artists who compete to create the most inspired couture using reclaimed, reused, or recycled materials. 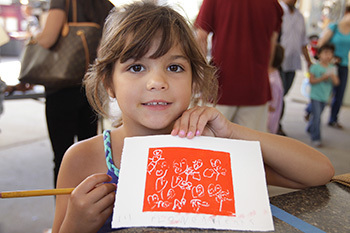 For kids ages 5 and younger, continue the kid-friendly fun all summer long with Art and Story Time each Monday at 12:30pm or indulge your little one in daily Youth Art Classes, at 1pm and 3pm Monday – Friday through August 17. Adult art lovers can ‘sweeten’ up their summer with the Festival of Arts’ Thursday night series: Art, Jazz, Wine and Chocolate sponsored by Charles Schwab by indulging with samples of Kendall Jackson wines expertly selected to complement the nuanced flavor of chocolates from XAN Confections. 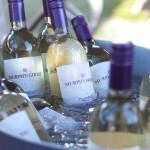 Tastings are $20 per person and limited reserved seating is available for purchase. On Saturday nights, uncork your creativity with Wine and Painting where guests can learn the step-by-step process to create their own master pieces while sipping on complimentary wine. 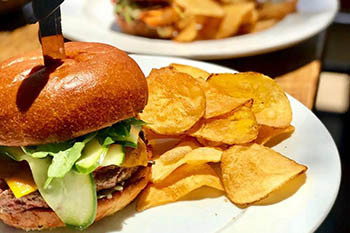 Reservations are required and participants must be ages 21+. The 2018 Festival of Arts Fine Art Show will continue through September 1 with general admission tickets starting at $10 per person. Special events and workshops vary per class and prior registration is suggested. 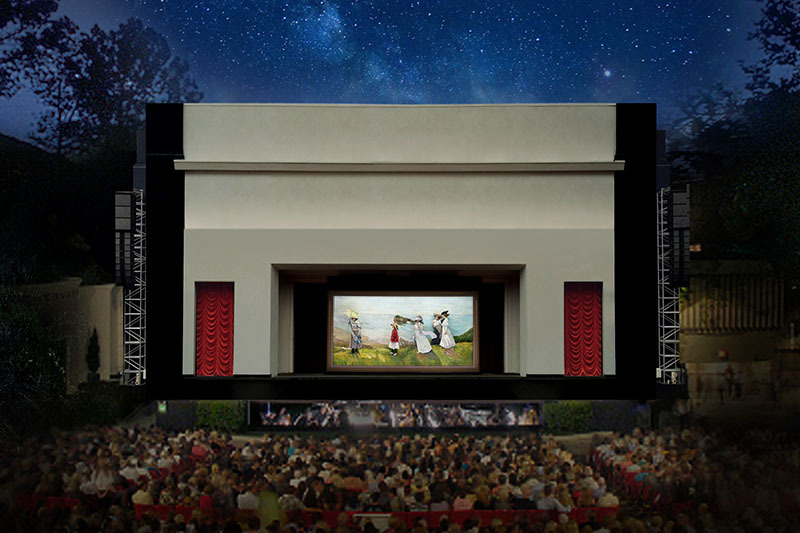 The Pageant of the Masters offers nightly shows through September 1 with advance tickets available now starting at $15 per person. The Festival of Arts and Pageant of the Masters are sponsored in part by Southern California Acura Dealers, Fidelity Investments, KOST Radio 103.5, Pavilions and the Ritz-Carlton Laguna Niguel.